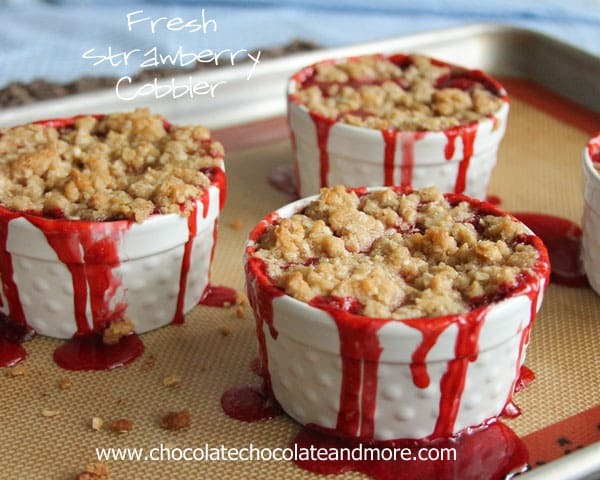 Fresh Strawberry Cobbler - Chocolate Chocolate and More! 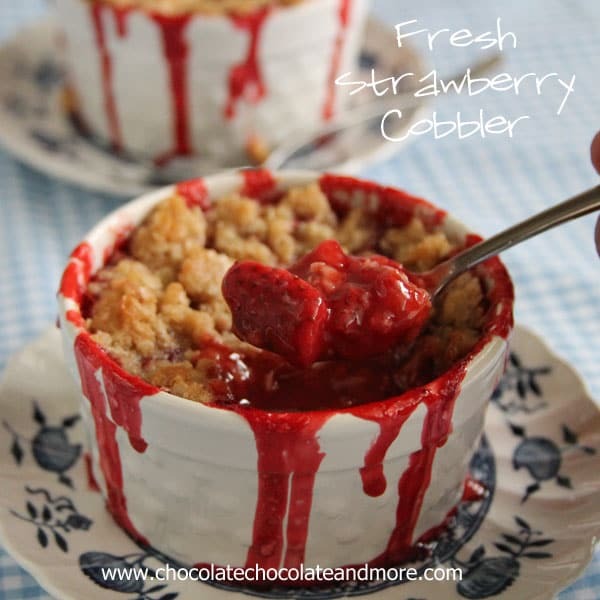 Fresh Strawberry Cobbler-Individual cobblers bursting with fresh berry flavor and a crumb topping! I can’t believe how fast the year is going all the sudden. My youngest daughter’s Birthday is in just 2 weeks. She’ll be 12. She’s my baby. The last one. Kids just grow up way too fast. While counting down weeks, we also realized there’s only 6 weeks left till school gets out. Yes, we’re one of those school systems that gets out before Memorial Day. Now my kids will be back in School the beginning of August. When I was a kid, school didn’t start until after Labor Day and it went until almost the end of June. I guess it’s all the same in the end. And we do get some better deals on our vacations since half the country is still in school. The really scary thought that hit me was there’s only about 3 weeks left of Strawberry season around here. Just 21 days (give or take) to go out to the u-pick fields. To hand select the best berries I can find. To eat them just fresh from the fields. I’ll freeze as many as I can, and I hope to make some jam this year. 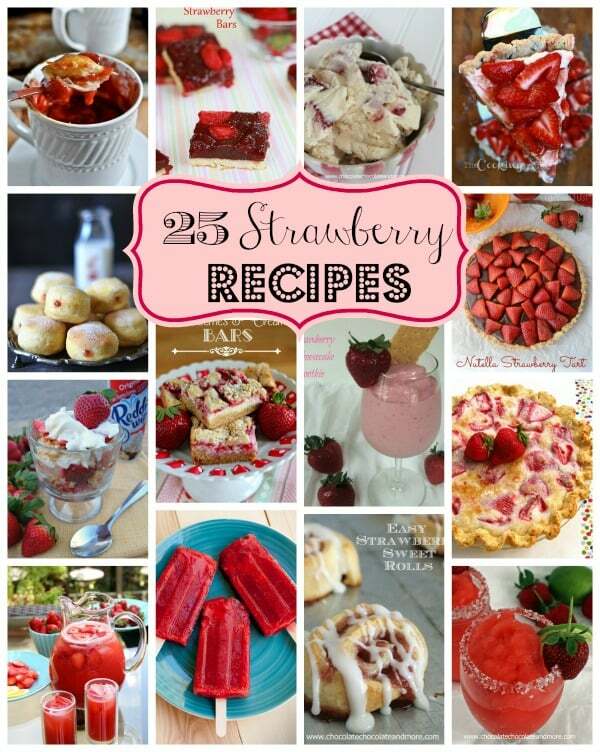 We’ll also enjoy as many fresh strawberry treats as possible. This Fresh Strawberry Cobbler was perfection. 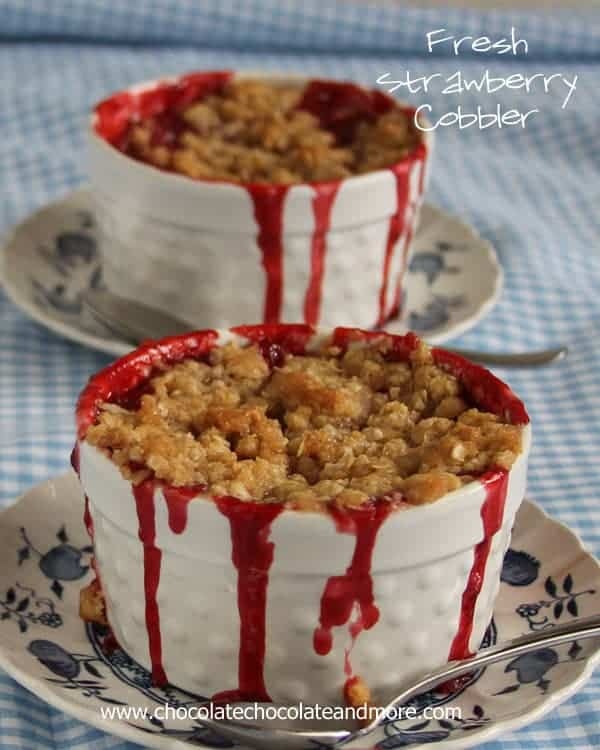 Just the right sweetness, the strawberries don’t get all mushy, and the crumb topping. I think I could eat a dish of it all alone! Combine strawberries and sugar in a medium saucepan. Let sit for 30 minutes with no heat. When time is up, stir strawberries and sugar then turn heat to medium for about 5 minutes. Combine cornstarch and cold water, making sure cornstarch is completely dissolved. Add cornstarch mixture to strawberries. Continue to heat until strawberries start to boil, stirring occasionally. Remove from heat. 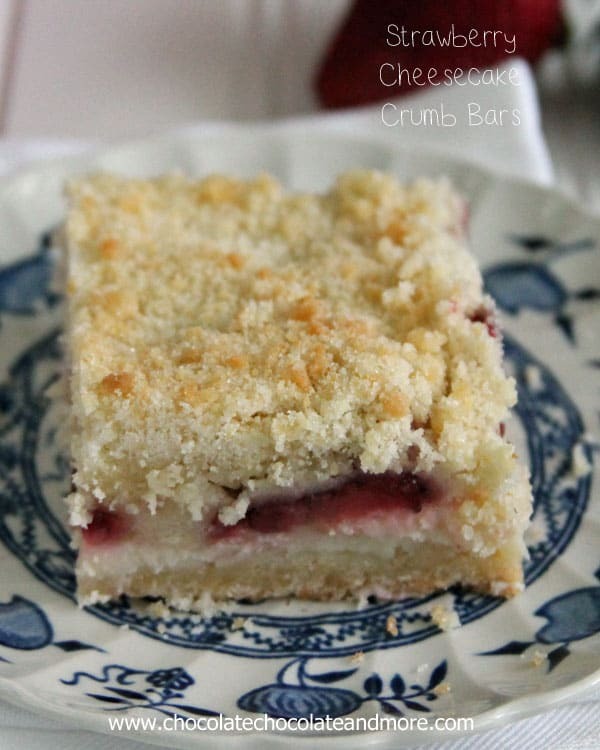 Make the topping-combine remaining ingredients using a pastry blender, until all combined and mixture is crumbly. Spoon strawberries into 4 small ramekins, top with crumb mixture. 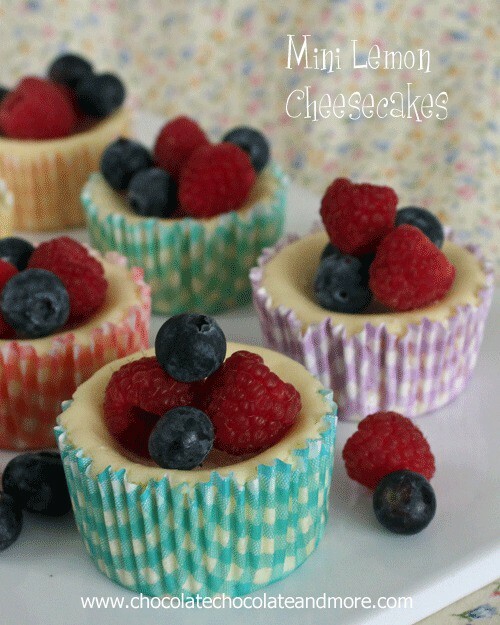 Place ramekins on a baking sheet (lined with parchment paper or a silicone baking mat.) Bake in a 350 degree oven for 25 minutes, until bubbly. Let sit 10 minutes before serving warm. I make these all the time and they truly make me happy. These look so fantastic!!! That filling oozing down the sides of those ramekins is making me want to get to baking right now! I don’t have any u-pick fields within 3 hours of my house, so I am stuck with grocery store berries. They. Are. Not. The. Same!! You are lucky to be able to grab your own. Happy picking! Looks delish, Joan! 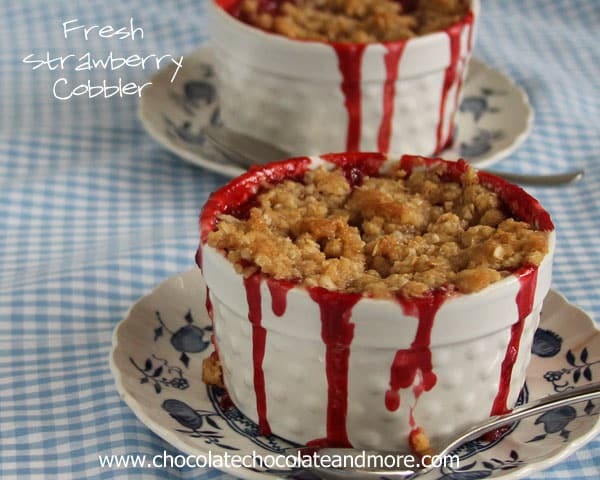 Gives me a since of urgency, I haven’t made near enough fresh strawberry desserts this year! These little jewels made my heart skip a beat (or two). 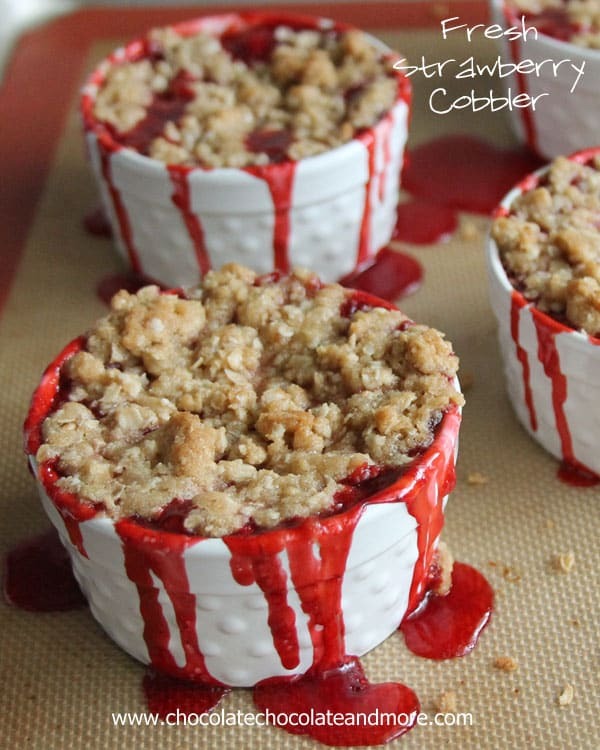 I love cobbler and I think these are the prettiest I’ve seen in a while. 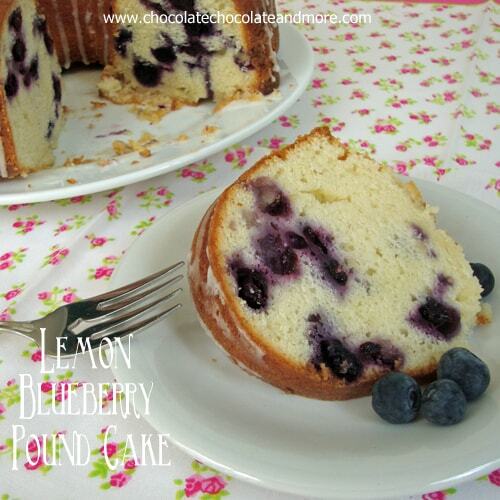 Yum…definitely going to try this – my family will love it! Found you through the link up. My boys are teens and I know what you mean about time flying by. I’ll be back to read more on your site. 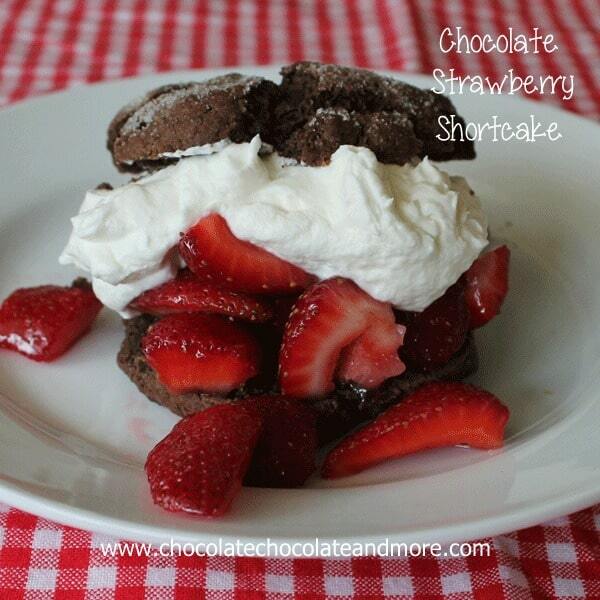 Looks delicious…had all the ingredients in the house, so I”m making them right now! Thank you for the super-easy, yummy dessert!! I am SO glad I’ve got a fridge full of fresh berries! I’m so excited for this recipe! Thanks for sharing! 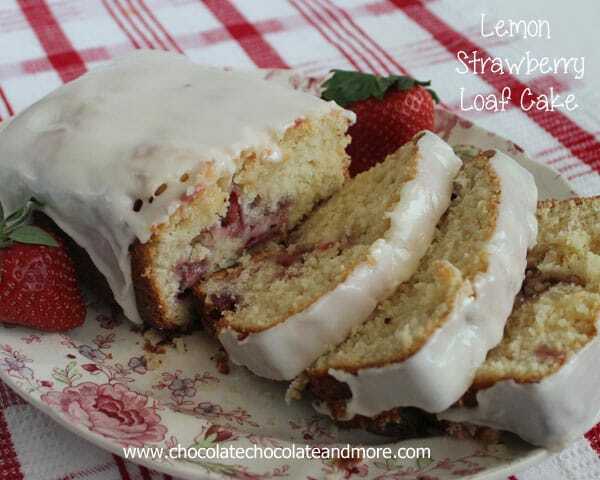 I feel a sudden sense of urgency to go out and buy strawberries so I can make these! Strawberry season is not long enough! Pinned! Wow, these look fantastic! 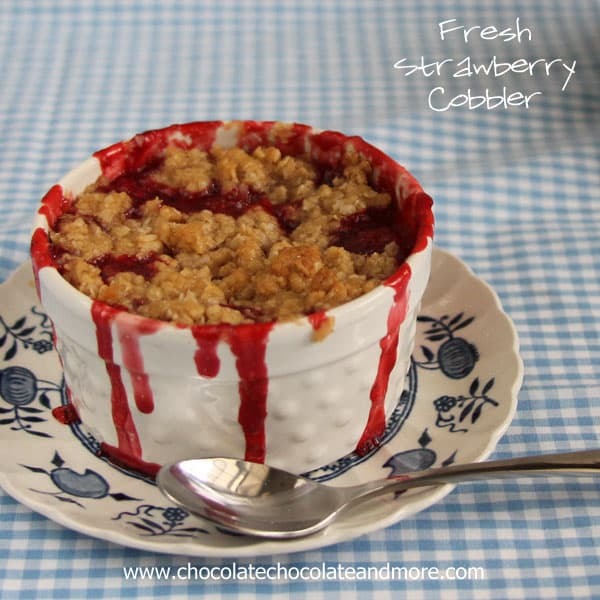 I’ve made cobbler before too, and I love it! I love the juice dripping down the sides. Ahh your cobblers look SO GOOD!!!! 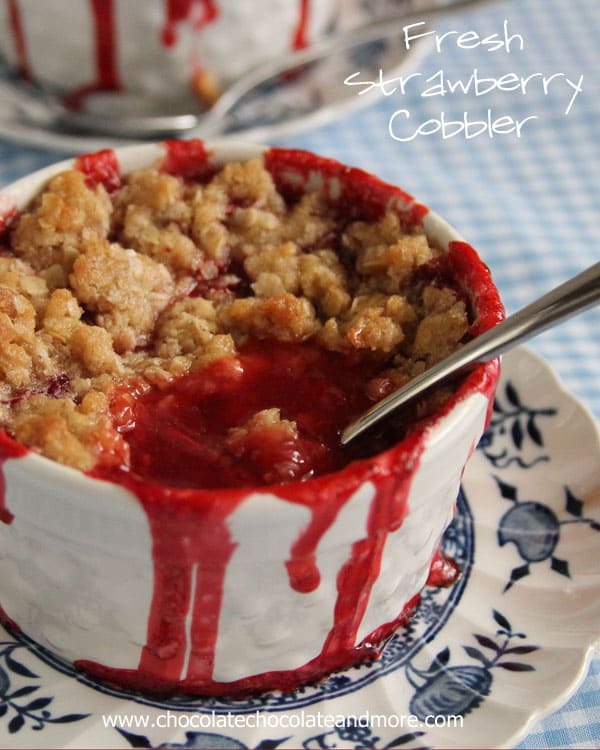 I’ve never made a strawberry cobbler before, that sounds amazing! Thanks for the great recipe. But most of all I love the hobnail bowls. Where did you find them? I think I found them on clearance at either Tuesday morning or TJ Maxx. 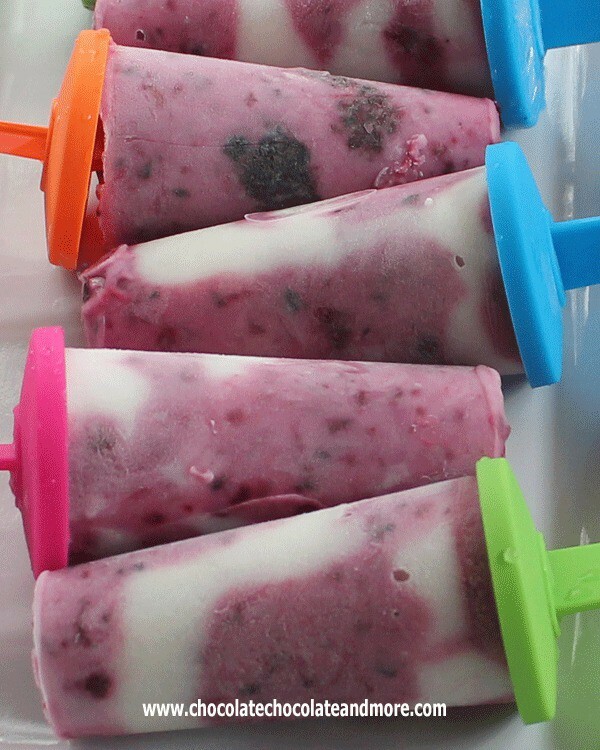 These look absolutely MOUTH-WATERING !! !